On 29th January 2019, K.R. 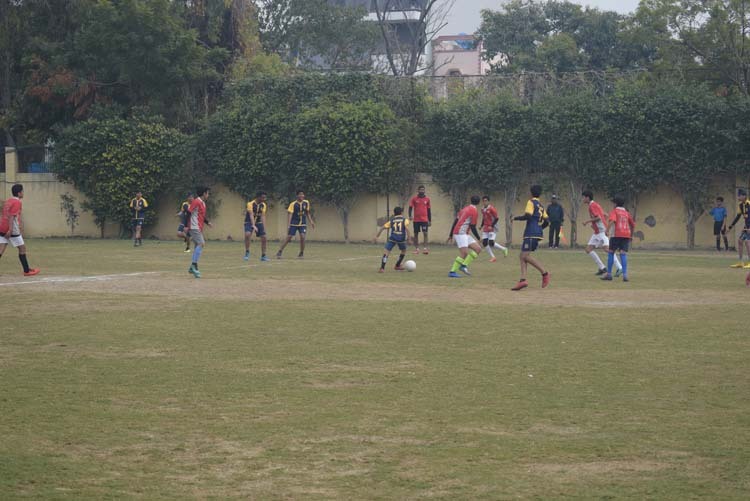 Mangalam World School, Vikaspuri hosted its 3rdInter K.R.M Soccer Tournament, a day filled with fervor and excitement. Five branches of K.R.M. World School fraternity participated on the first day. The kick start of day-1 of the three day tournament happened with the welcoming of all the K.R.M school teams by the Principal, Ms.Priya Arora. After the march past wherein they marched proudly with military precision and perfect synchronization in their school colours, the sportspersons took an oath, pledging to inculcate the spirit of sportsmanship within them. The lovely rendition of the school song, Together Towards Tomorrow, by the school choir motivated the gathering to put in their best. Four matches were conducted on day one and five on the second day. 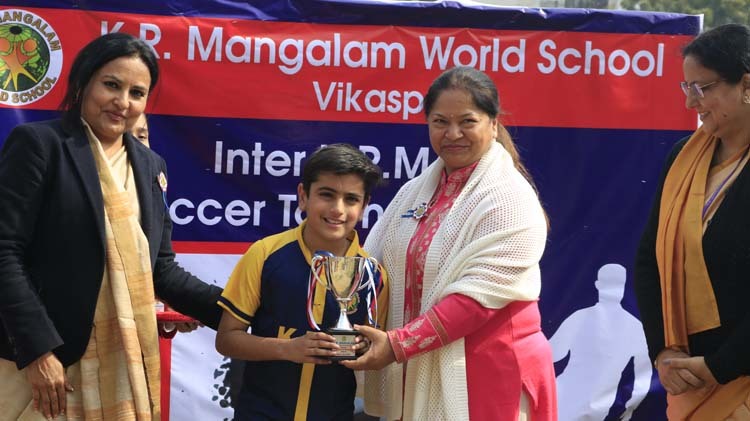 The Chief Guest for the closing day Ms. Kamini Rawat SPE, West Zone, Delhi 18(b), appreciated the efforts of all the teams and the management in putting up such a tournament to encourage the budding football enthusiasts. 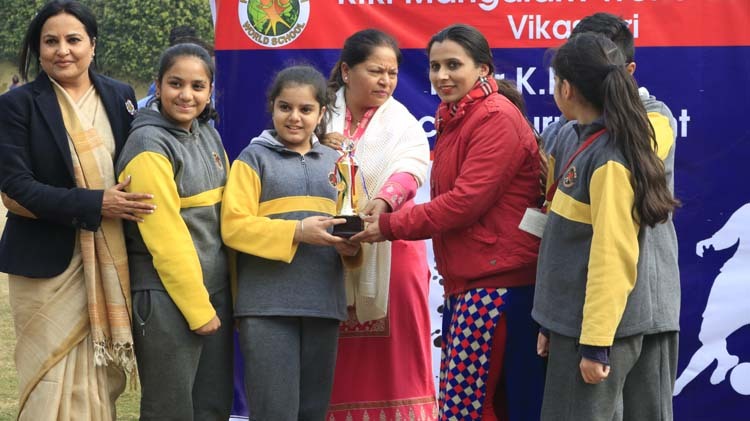 Ms. Rawat, who had once been the captain of the National Volley Ball Team, addressed all the participants and inspired them to continue their efforts to enhance their talent and sportsmanship. K.R. 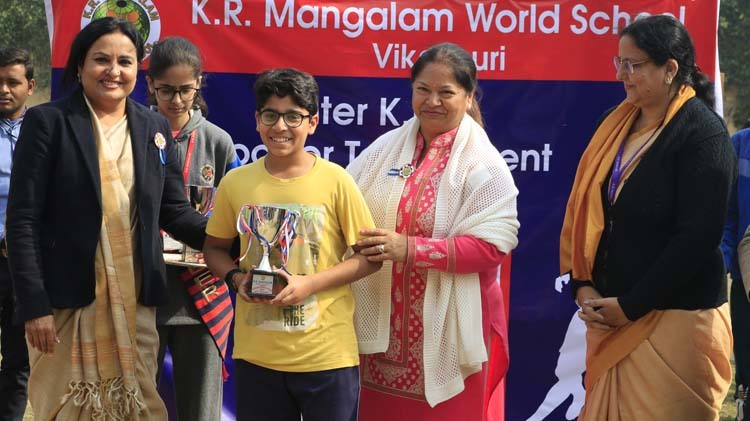 Mangalam World School, Gurugram bagged the first position in the boys category and K.R. 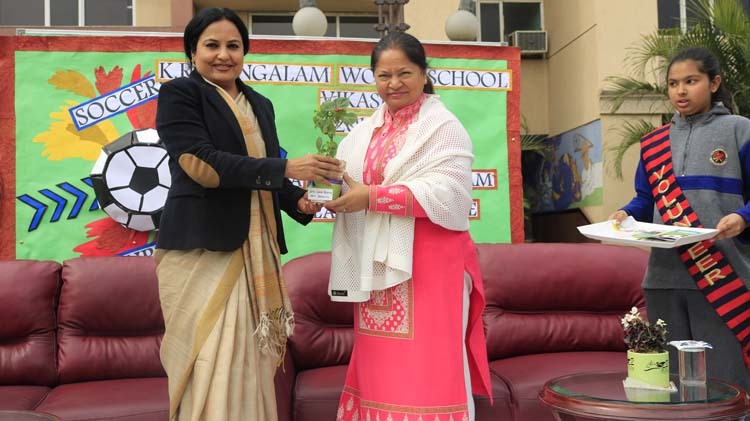 Mangalam World School, G.K-II bagged the trophy in the girls category. Special trophies and medals were given away for various other categories like; best defender, best goal keeper, best header etc. The Tournament came to a close with the principal appreciating the efforts of the winners and motivating all the players to put in their best in all their endeavours.